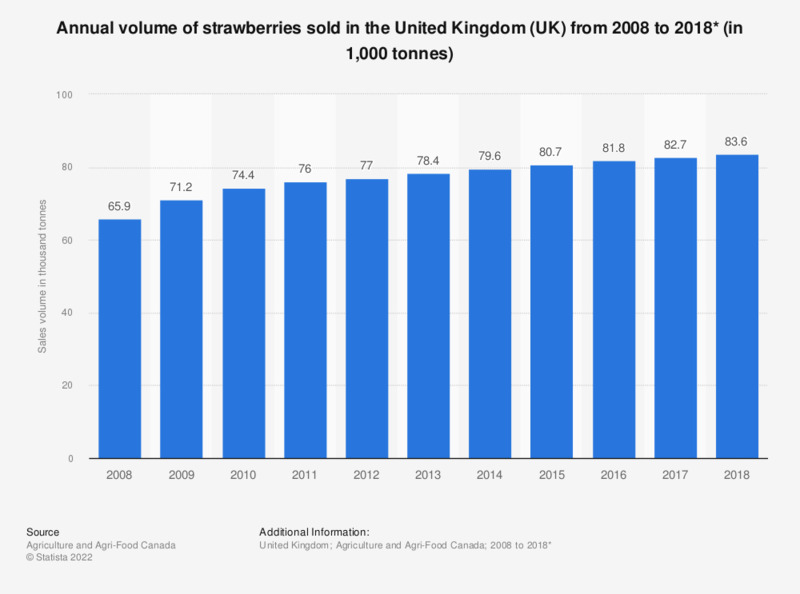 This statistic shows the sales volume of strawberries in the United Kingdom from 2008 to 2018. The sales volume of strawberries gradually increased between 2008 and 2014, according to historic data. In 2018 the sales volume of strawberries is expected to reach 83.6 thousand tonnes. * The sales volume from 2014 to 2018 is forecast. Statistics on "Fruit and vegetables in the UK"
On average, how many portions of fruit and vegetables do you eat everyday? Which of the following, if any, do you grow in your allotment?